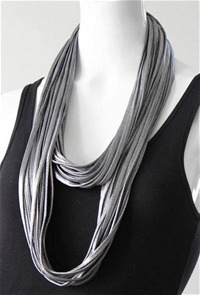 Necknots make the statement of jewelry, and feel like your favourite scarf. 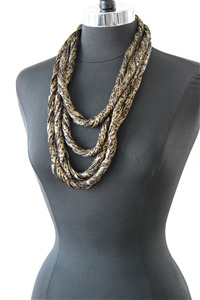 Necknots truly offer endless style with 7 unique style options: Scarf, Statement Necklace, Choker, and  more. Each one includes a style guide and gift packaging, and in-store style video. Come by for a demo. Free item when your order is paid in full at the show. You'll receive one of my best-selling Necknots for FREE ($50 Retail Value) on any order of 24! Polyester Blend with a silky feel.